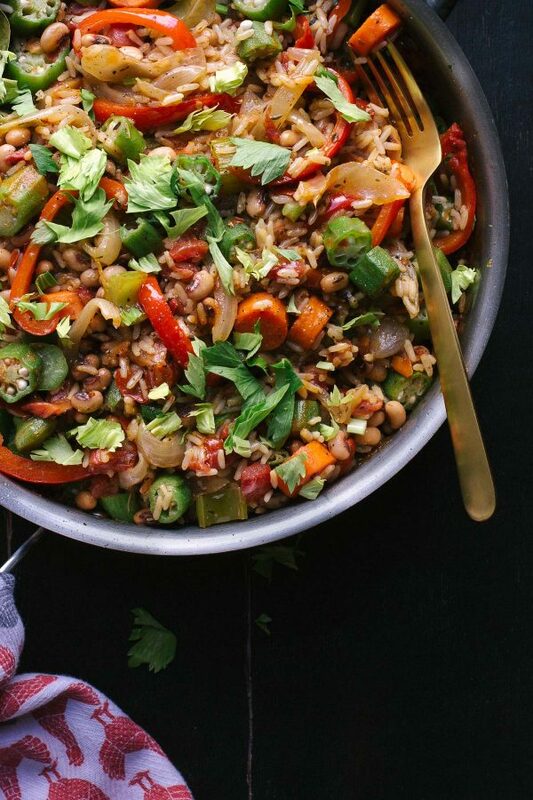 If you dread the mountain of dishes and pans after dinner, why not try one of these one-pot recipes to make your life a whole lot easier? Now that vegan one-pot recipes have become easier to find, we’ve collected 20 of our favourites to share with you. 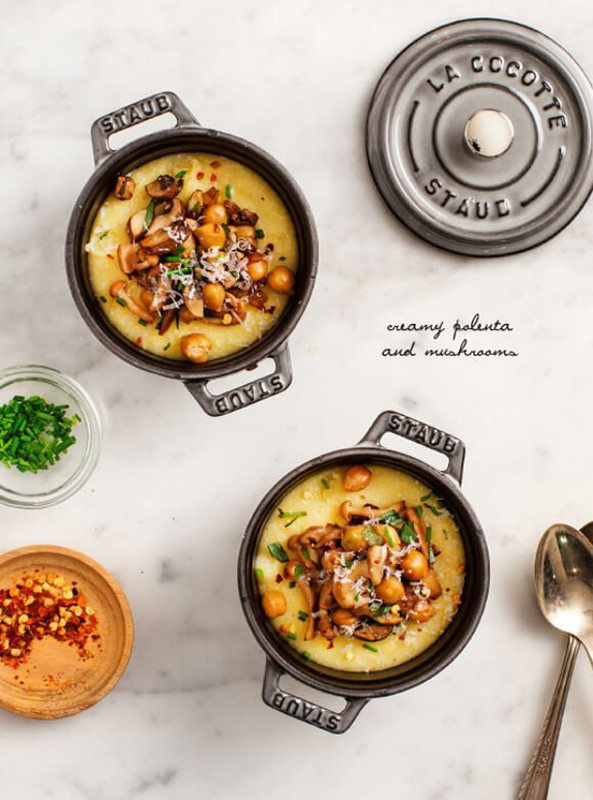 We’re sure you’ll find some comfort food for the next time you’re having a lazy cooking day. Is there anything quicker and simpler to whip up than a great big pan of pasta? We think not! 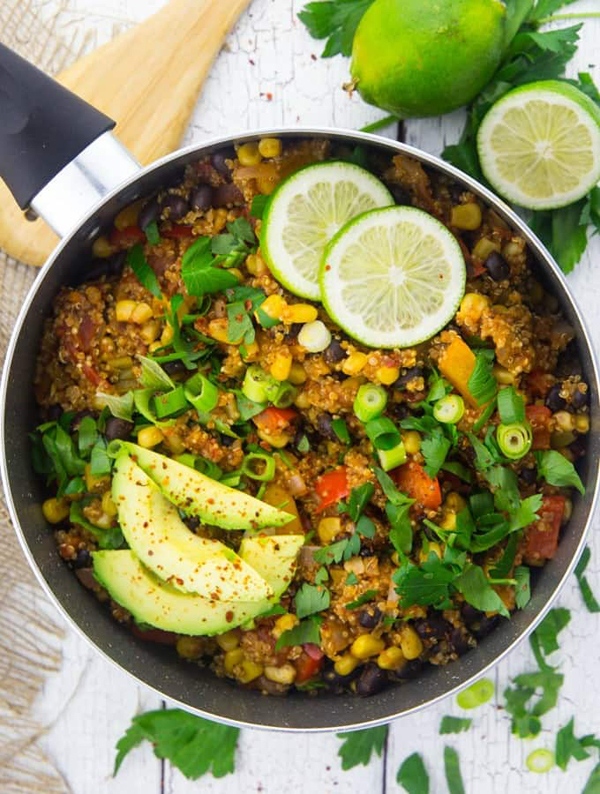 Super easy to make, packed with protein and super healthy, this one-pan Mexican quinoa is ready in a mere 25 minutes. It’s best served with fresh parsley and avocado for the ultimate boost. The variety of spices, flavours and healthy fats in this dish make it a great dinner for carnivores and vegans alike. If you’d like to emulate meat, you can add some cubed tofu, too. This quick slow-cooker recipe is rich in fibre and protein. It is gluten-free as well as vegan, and jazzes up a few simple ingredients with BBQ spices. A flavour sensation you’ll all enjoy. Fans of peanut butter will love this one! 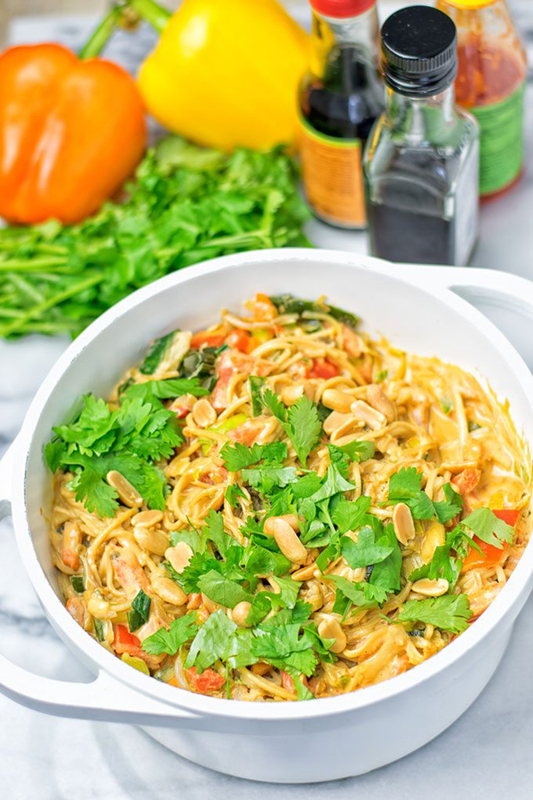 The creamy peanut butter sauce is the perfect finish to the fresh vegetables and the vegan pasta. You can adapt it to your tastes by choosing your favourite veg. 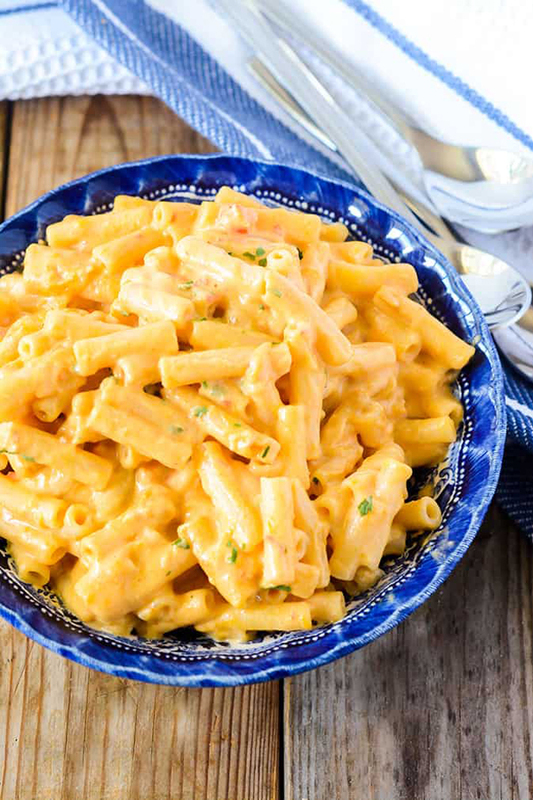 Mac and Cheese is the ultimate comfort food, and this vegan recipe is creamy, nutty and velvety – everything we need for a lazy night in. Cashews and coconut milk are the star ingredients. 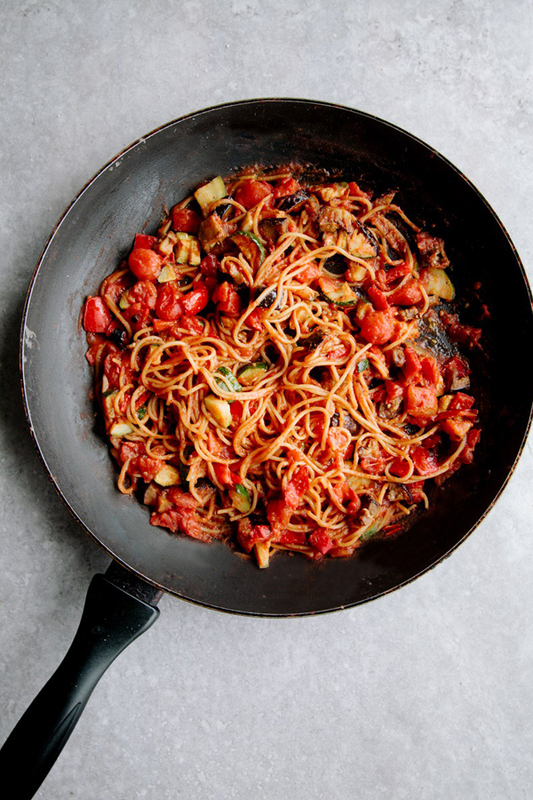 This dinner combines two of our favourites: spaghetti and ratatouille. 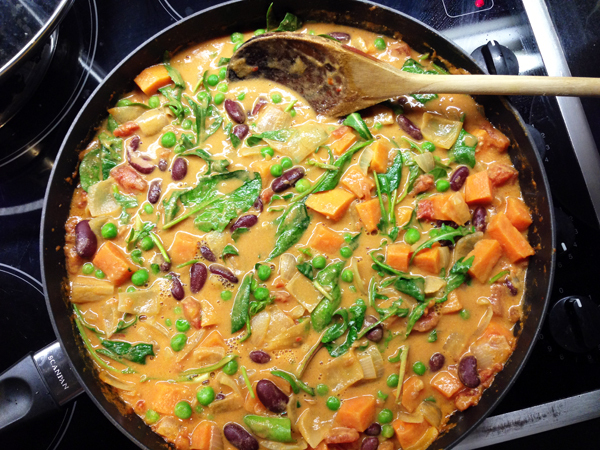 It’s made in less than 30 minutes and is high in both protein and fibre. It’s healthy, vegan, gluten-free and delicious. 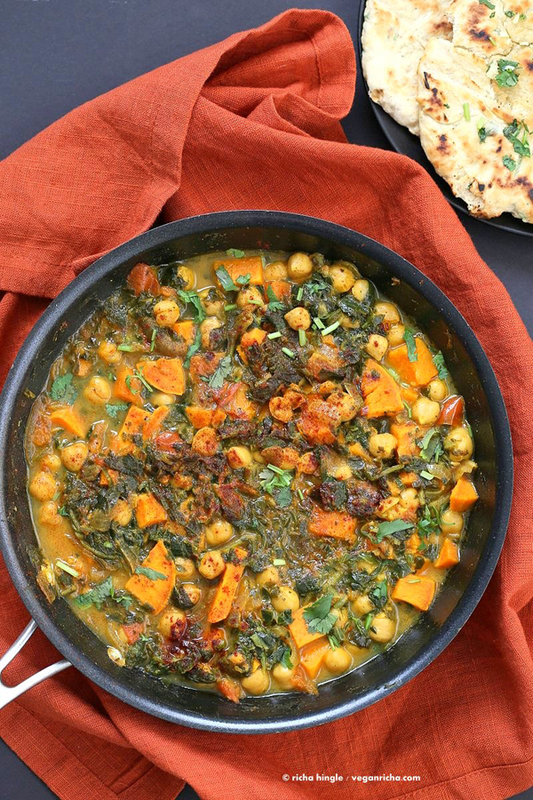 If you love Indian spices, this stew has a definite kick! 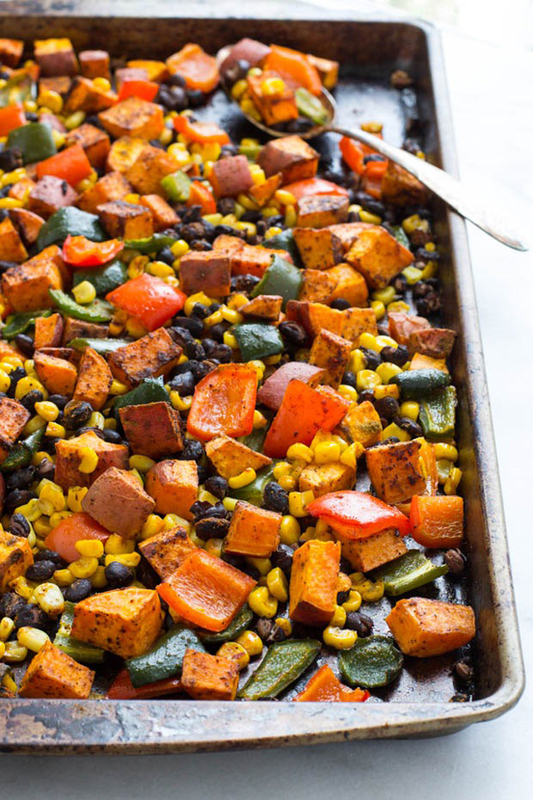 It’s a great recipe for using up pumpkin, squash or beans. For those chilly winter days, it’s completely warming as well. Enchiladas in 30 minutes? We’re sold! These stove top enchiladas have the same amazing taste as regular enchiladas but can be made without all the fuss of folding tortillas etc. For a ridiculously easy and tasty weeknight dinner, why not try this gnocchi? 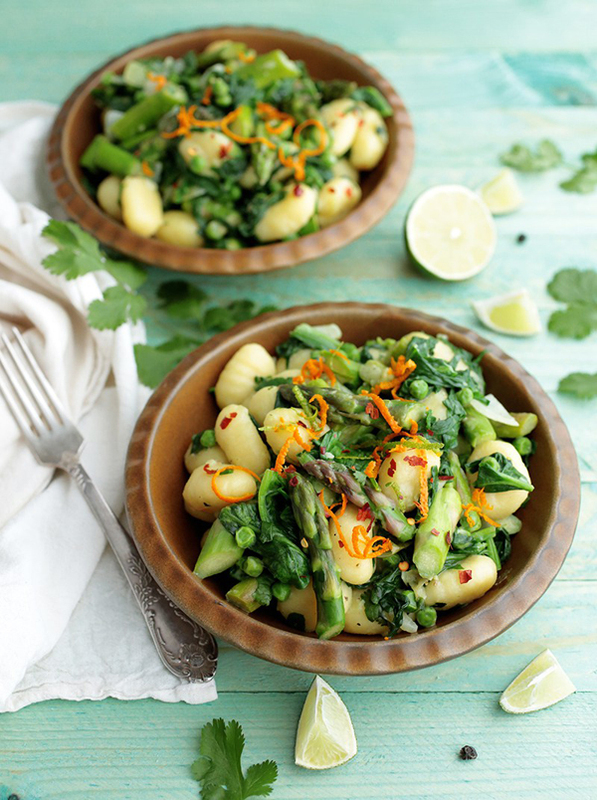 The potato balls are covered with spinach sauce, crunchy asparagus, green peas and fresh cilantro, lime and orange zest. Treat yourself to a wine-based dish! 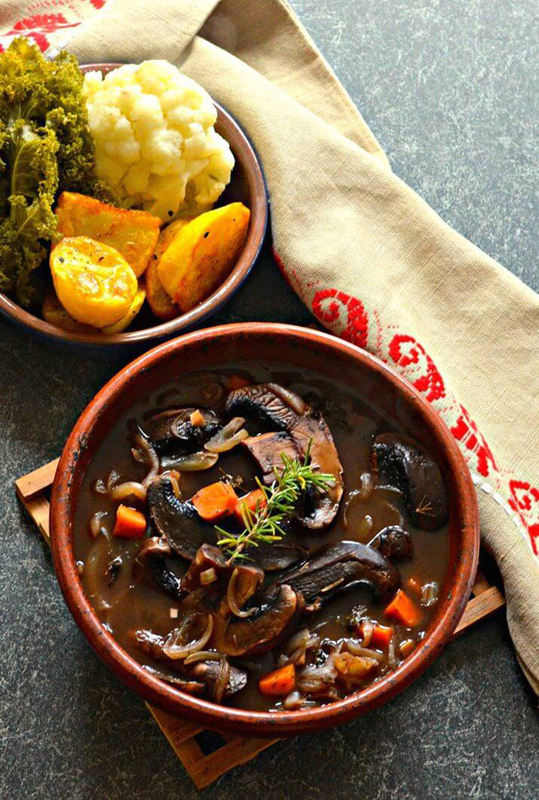 This rich and hearty pot roast combines wine, mushrooms, herbs and vegetables. Best served with crispy roast potatoes, it looks great and fills you up. This recipe makes a delicious hearty serving for one, but can be multiplied to serve as many guests as you’re feeding. 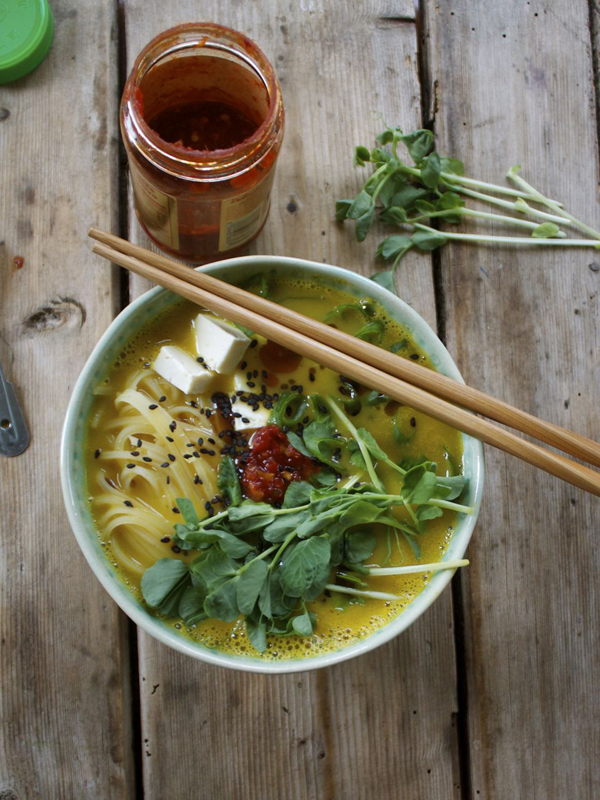 With its collection of flavours and textures, it’s a definite winner. 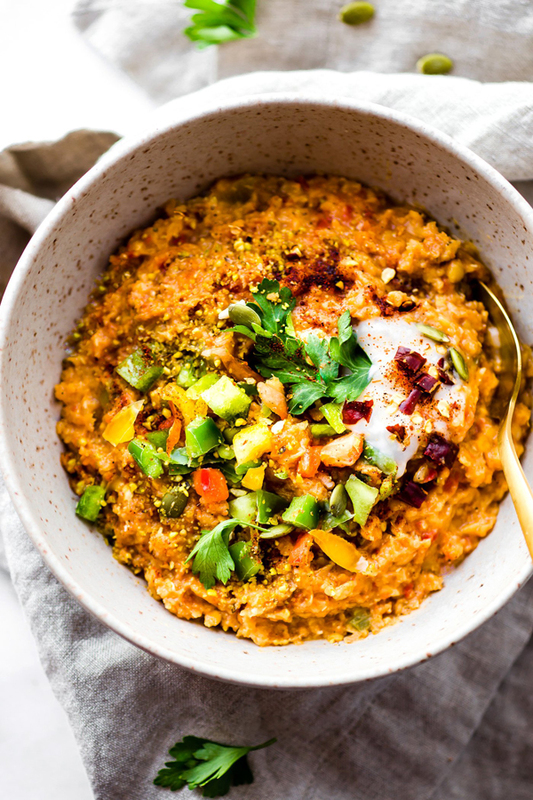 You’ll be able to find most of the ingredients for this recipe in your pantry, which is great for those days when you have to cook for the whole family in a hurry. The casserole is a great sharer and serves 6. There are so many ways to tweak this recipe, so if you love to experiment with your cooking you’ll love the numerous tips, substitutions and suggestions. You can serve it with rice to make it last longer, for instance. 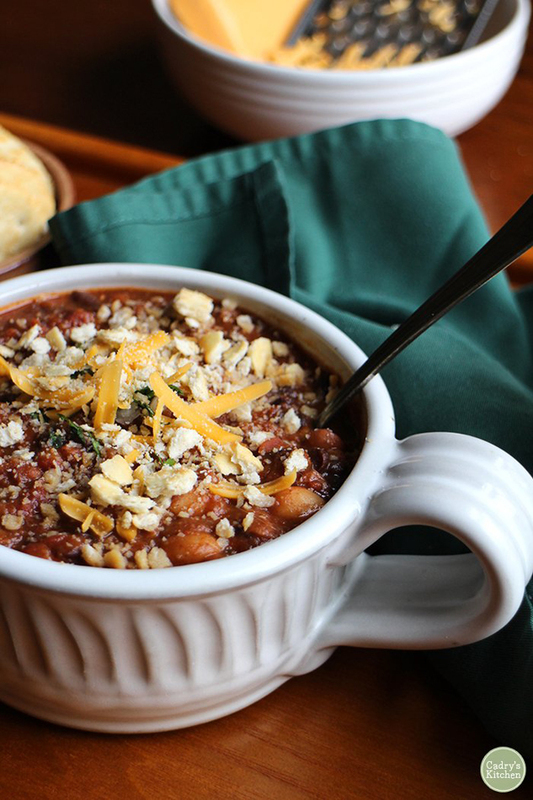 Pinto, black and Great Northern beans make for the perfect warming chili. It is spiced with cumin, ancho chili powder and a bit of mustard and hot sauce. It keeps, too, so you can enjoy it more than once. 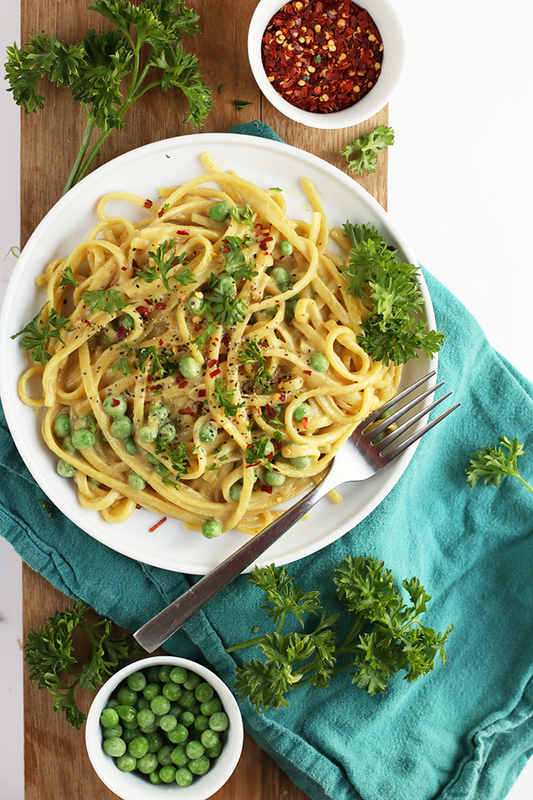 Top this roasted garlic and white wine pasta with fresh parsley, peas and red pepper flakes for a gorgeous (and convenient) dish. It makes dinnertime easy and enjoyable. For that awkward time between seasons, this recipe makes use of the best produce from summer and from autumn. It’s beautifully colourful and perfect for anyone who loves sweet potatoes (so pretty much all of us)! 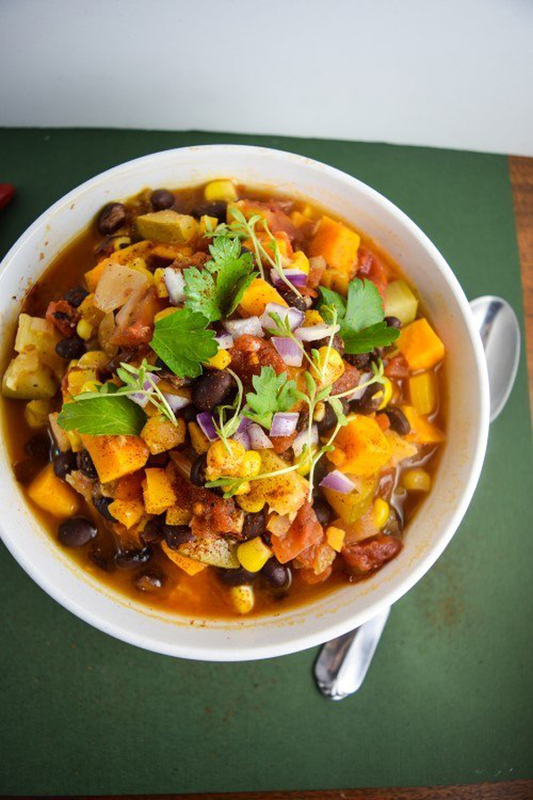 Sweet Potato Tortilla Soup by Yup…it’s Vegan! Speaking of sweet potatoes, this winter-friendly soup has just a hint of heat that is perfect for warming up from the evening chill. 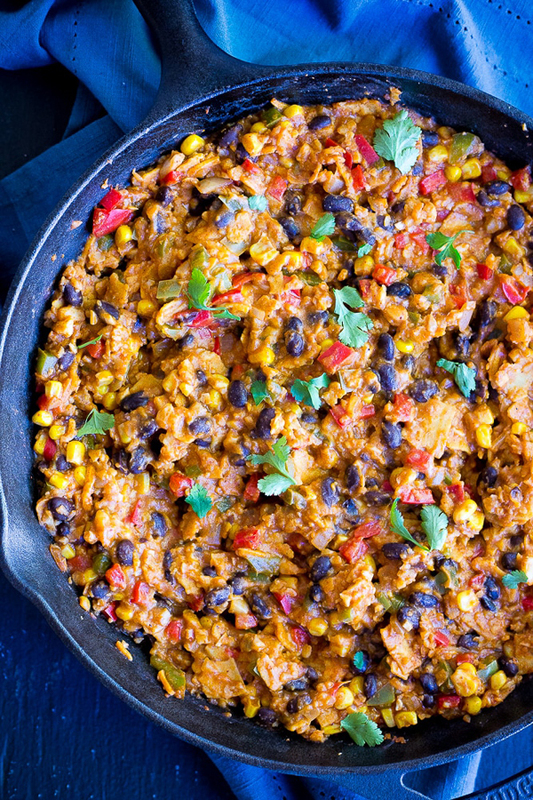 For a one-pot meal, it takes a while to make but is definitely worth the effort! 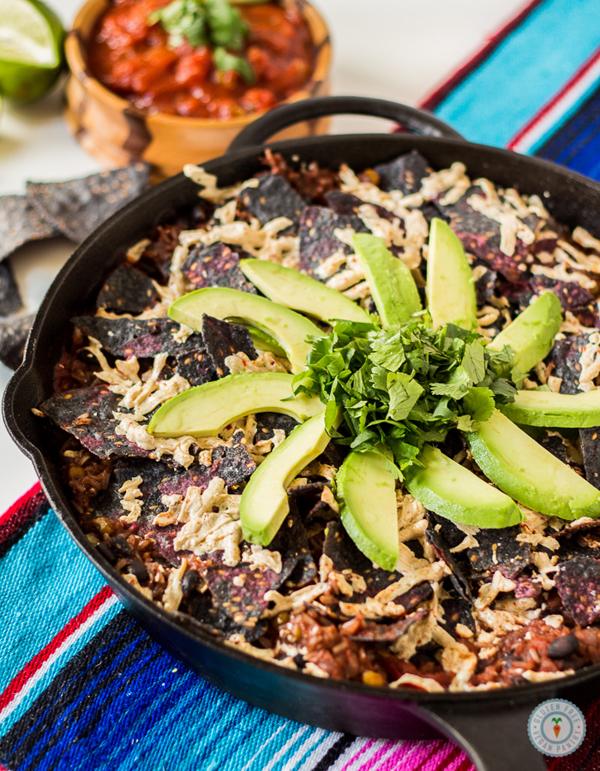 Veganise this recipe by swapping out the cheese and butter for vegan alternatives. 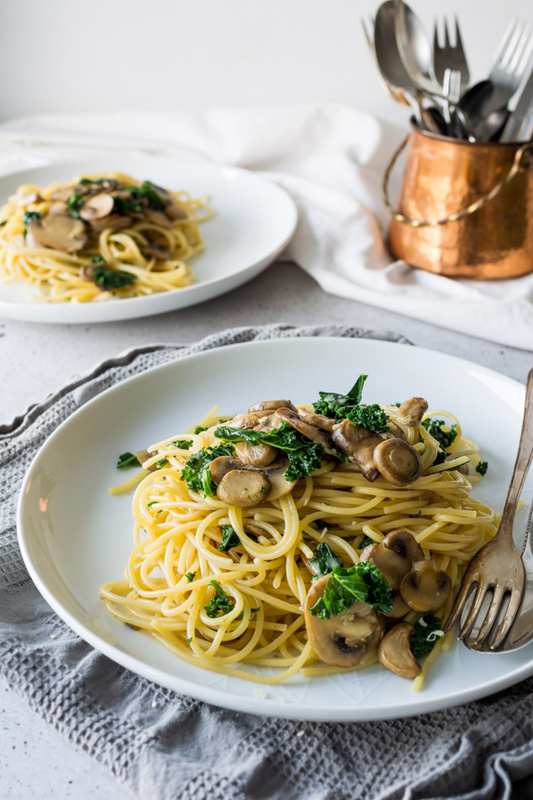 If you like mushrooms, the combination of three different kinds is sure to satisfy you. We had to have a pot pie in here somewhere! 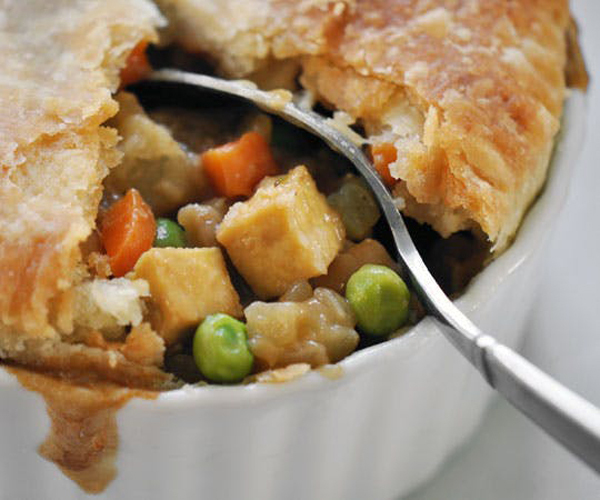 This one is exactly what we need in a comfort food – simple, savoury, surrounded by flaky pastry and stuffed with vegetables and tofu! Subscribe to Vegan Food & Living magazine this Christmas and, not only will you receive the magazine through your door each month, but you will also receive a FREE haircare gift from Aveda worth £39! Treat yourself or someone else.